Most players in the banking sector recognize the scale of the digital transformation they are now part of. Digital disruption is happening at every level in the banking industry, and everyone agrees that digital transformation is essential to stay ahead of the pack, reduce costs and ensure viability. However, in place of the hype and the froth, a sense of realism about the future of banking — and how to achieve it — is very welcome. 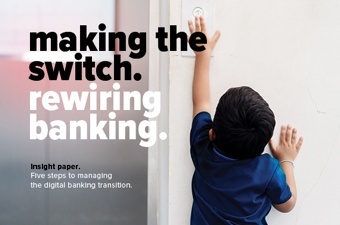 On this page, you can read more about the key elements of a successful digital banking transformation, what transformation means for specific banking sectors and for core banking, and some success stories. What is digital transformation in banking? To live up to the expectations of customers, to embrace new technologies, and to respond to new competition, banks must think in new, innovative ways to ensure their viability. Digital transformation looks different in every industry and every company. In general terms, it is the integration of digital technology into all areas of a business. This integration leads to fundamental changes in how the business operates and delivers value to its customers. Digital transformation in banking goes way beyond just moving from traditional banking to a digital world. It is a vital change in how banks interact with and satisfy customers. It is all about banks changing their focus: from product-centric to customer-centric and even taking it one step further: customer-intimacy. Digital transformation doesn’t only concern digitizing the front-end and the primary ways customers interact with a bank, for example the website and the app. That strategy would keep the organizational infrastructure, bank-end systems and culture intact. To fully transform into digital banking, you also need to replace legacy infrastructure with digital technology, integrating the middle and back offices. Yes this is an intense and impactful process, but it is still necessary so you keep your place in a highly competitive market. Banks running on a digital core can reduce costs and streamline and automate processes. And end-to-end integration with a three-layer architecture (presentation layer, client and orchestration layer, and product and transaction layer) provides a seamless, engaging customer experience and separates product from the client data. It also makes room for further transformation, by connecting to other fintechs that provide new services and technologies like blockchain and artificial intelligence. Digital transformation in banking has all the challenges of a ‘traditional’ major change program – but with one notable exception: the end goal is likely to continually change. What do you want to get out of digitization? Do you understand digitization?’ is perhaps the most basic question, yet it provokes a complicated answer. It can mean many things to many people. For some it is simply automating manual processes, and to others it is about offering digitized services. We believe digitization relies on a single, digital core that acts as the source of truth and as a foundation for all delivery channels and simply offers different access points to customers and employees. Before you start developing your strategy, it is important to determine what digitization means to your organization — what do you want to achieve? Making the switch to digital requires banks to first look at the core of their existence: how does a bank define its role in this changing landscape? The idea of being all things to all people may no longer be viable. Does a bank need to simplify and streamline its product offering? Is a degree of specialization more realistic? Should the bank be a platform or an aggregator? You also need to think about what you want to achieve with digitization. One of the features of the new realism in financial services is a renewed focus on strategic technology solutions over hyped digital possibilities. To successfully switch to digital banking, banks must be clear about what they want to achieve. To get the most out of digital, it is important to transform the entire bank. And that means not just the front-end, but also the back-end and the middle layer. However, you need to do this one step at a time, which requires time and patience. Think about your digital transformation by defining a migration strategy: How to slowly phase out old functionality and implement new one. Take small steps to prevent creating ‘improvement silos’ without actually making real changes. To do so, you need a clear digital strategy, as mentioned above, including a continuous improvement of products and services. The centerpiece of digital transformation is a mindset shift: from product-centric to customer-centric (or even customer intimacy). How can you engage with customers at every interaction? To do so, you need to know who they are. What are their ages, professions, earning potentials, geographic locations, and financial parameters? What are their life stages, lifestyle factors, and behaviors? Which (digital) channels are they using for banking services and products? You can only tailor your services and products to your customers and build sustainable relationships if you can answer these questions. Complexity is inherent to modern banking, and though it is tempting to keep it that way, the banks that are succeeding do not use complexity as a means to short-circuit their transformation into slimmer, digital-first organizations. Embracing innovations and new digital banking technologies are key to transform digitally as a bank. What does digital transformation mean for specific banking sectors? Even though digital transformation essentially means the same for the entire banking industry, each specific sector has its challenges. Therefore, a slightly different approach to digital transformation is required for each specific sector. If retail banks fail to adopt digital transformation, they will lose market share, customers, and profits. Customers want a richer banking experience, and retail banks need to be more flexible and create faster processes to enable that experience. Risk management, regulatory requirements, tighter margins, and new customer demands for and improved customer experience all mean that retail banks must innovate to grow. To enhance customer intimacy, manage stringent regulations and cybersecurity restrictions, and avoid polluted data, retail banks need to digitize. The hallmark of private wealth management is the personal approach: players in this sector know their customers. The key challenge is to also bring this experience to the new digital environment. Customers are embracing online communication and are moving away from the relationship-driven model. 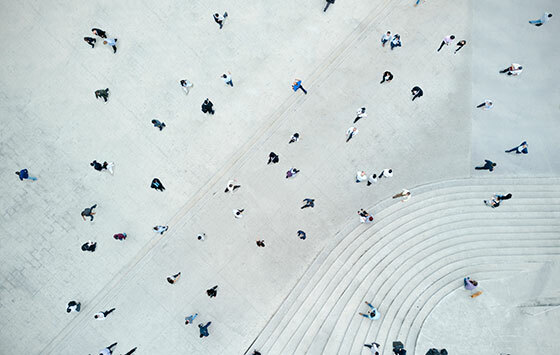 By digitizing legacy systems and automating processes, private wealth management banks can give customers access to the available data and give them more insight and control. This enhances unique propositions, attracts customers, drives sales, and reduces costs. Corporate banking is struggling to deliver for digital-savvy customers. The biggest challenge in this industry is meeting customer demands, because corporate clients want the same experience as they are used to in consumer banking. Transforming to a digital environment enables corporate banks to introduce products and services faster and more easily, create a 360-degree customer view, and personalize the customer experience. In every banking sector, most core banking systems are outdated, expensive to maintain, inflexible, and unable to support growth and innovation. The legacy infrastructure often looks like spaghetti-based systems organized around products and channels for the market. Adjustments that require coding, long implementation times with corresponding costs, and huge dependency on the vendor are well-known challenges for any legacy core banking owner. A transformation to digital core banking is essential to stay relevant to your customers. You need a system that allows you to tailor services and products to your customers, with a consistent and seamless experience across all channels. Its architecture needs to be able to enable split client and product data, which makes it much easier to create a 360-degree view of customers. Put a middle layer on top of legacy systems as a first step of digitization. Implementing a middle layer is an effective strategy for core banking systems that are too complex to untangle, which is usually with tier 1 banks. For core banking systems that have less products or complexity, migrating the products and transactions to a new product and transaction system is most effective. Van Lanschot is an excellent example of a successful digital transformation in banking. Van Lanschot’s challenge was to simplify systems, processes, and applications to improve the client experience, reduce costs, and build a future-proof platform that can expand. Matrix was felt to have the best functional coverage to meet the bank’s needs. 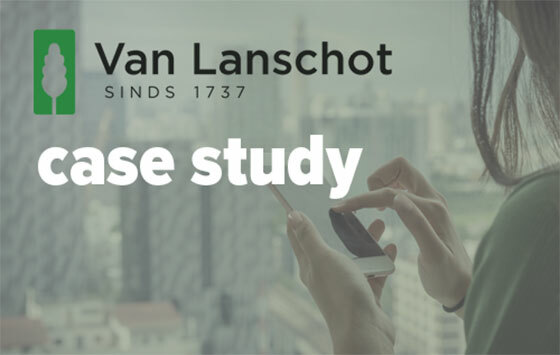 Read more about Van Lanschot’s transition to a digital bank in this case study.